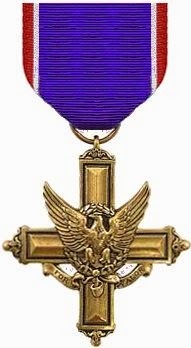 During this week in our history, two SigEp Patriots were killed in action, two were awarded the U.S. Army’s second highest honor, and one was promoted to four-star General. There is also a U.S. Congressman, Governor, Mayor, and SigEp Citation Recipient – a total of 18 Brothers from 15 chapters. These Brothers serve as great examples of the virtue of selfless service to others – both in the military and in their communities, and they are worthy of our admiration and praise. A special shout out to the two USAF SigEp Patriot pilots that we just connected down at Kandahar Air Field, Afghanistan. You boys be safe flying those "friendly" skies. *** The SigEp Patriots Project (SPP) has the citations for these two awards. If anyone from the Vermont Alpha and New York Alpha chapters would like a citation we look forward to hearing from you. 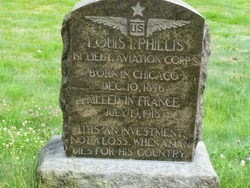 World War I Veteran and First Secretary of Illinois Alpha, First Lieutenant Louis I. Phillis, U.S. Army Aviation Corps was killed in an accident on this date in Tours, France. Louis was the first chapter brother to cross the Atlantic to “fight the Kaiser.” Unfortunately, he was also the first IL Alpha man to be killed in WWI. At the time of his death, he was serving in the same unit – the 95th Aero Squadron – as Quentin Roosevelt, the son of former president Theodore Roosevelt. Respect can be paid to Brother Phillis at Union Cemetery, Morrisonville, NY. 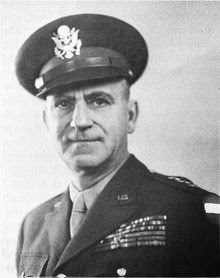 On this date, Border War, World War I & World War II Veteran, Virginia Theta Brother (then) Major General Leonard T. Gerow, U.S. Army became commander of V Corps – at the time the largest unit of troops in the European Theater of Operations. Following graduating from the University of Alabama, Alabama Beta Brother James Calabra, Jr. entered the U.S. Army on this date. World War I Veteran and New Hampshire Alpha Renaissance Brother Major Wayne E. Stevens, U.S. Army, 67, died on this date at his home in Hanover, New Hampshire. As a First Lieutenant, he served in the Adjunct General Corps in the U.S. Army from 1917-18, and continued to serve through 1919. Wayne was initiated by NH Alpha chapter in 1922, and an indefatigable worker on behalf of the Fraternity for 38 years. Brother Stevens was a member of the Dartmouth history faculty from 1921 until his death, a full professor since 1930. He received his baccalaureate at Knox College in 1913, master's and doctorate at Illinois, and instructed at the University of Minnesota (1916-17). 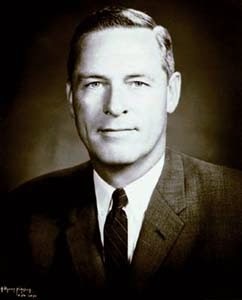 Wayne served as director of the war records section of the Illinois State Historical Society, historian of the U.S. Army Air Service, and as an adviser to the historical section of the Army War College. He also authored “The Northwest Fur Trade, 1763-1800,” as well as contributed to numerous journals and encyclopedias. Respect can be paid to Brother Stevens at Pine Knoll Cemetery, Hanover, NH. World War I Veteran, U.S. Congressman (Iowa), Iowa State Representative and Pennsylvania Xi Brother First Lieutenant Paul H. Cunningham, U.S. Army / AEF died on this date in Brainerd, Minnesota. During WWI, Brother Cunningham served as an infantry officer from 1917-1919. After the war he moved to Des Moines, IA, and the next year joined the Iowa National Guard where he served until 1923. Brother Cunningham graduated from State Teachers College in Indiana, PA (now Indiana University of Pennsylvania), and continued his education at the University of Michigan. After receiving his law degree, Paul was admitted to the bar in 1915. He was elected to the Iowa State House of Representatives in 1933 and served there for four years. In 1941, Paul was elected to the Seventy-seventh Congress, and was re-elected eight times before resuming his law practice in 1959. Paul was a proud member of the American Legion, Freemasons, Moose, and Odd Fellows. Respect can be paid to Brother Cunningham at Masonic Cemetery, Des Moines, IA. 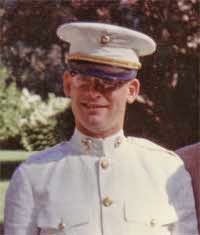 On this date, Vietnam Veteran and Pennsylvania Eta Brother Second Lieutenant Gene “Smedley” McMullen, U.S. Marine Corps Reserve made the ultimate sacrifice when he was killed in action in Quang Tri Province, South Vietnam by Viet Cong counter battery fire. At Penn State, Gene played on the varsity football team, was a member of Phi Beta Kappa, as well as enrolled in the NROTC and their Platoon Leaders Course as he prepared to enter the Marine Corps. Like so many other SigEp Marine Patriots before and after, he trained at Quantico his freshman, sophomore and junior years. In 1965, Brother McMullen entered the Basic School at Quantico, and because he chose Artillery, when Gene graduated he was sent to Fort Sill, before reporting to Camp Pendleton. With his training completed, he reported for duty in Vietnam in May 1966, and assigned to the 12th Marine Regiment as a Forward Observer. Gene is remembered on Panel 09E, Line 29 of the Vietnam Veterans Memorial Wall. Respect can be paid to Brother McMullen at Section 3, Site 2560-B, Arlington National Cemetery, Arlington, VA.
Virginia Alpha Brother Specialist Four Hunter F. Spencer, Jr., U.S. Army Reserve died on this date. He served in the Adjutant General Corps. Respect can be paid to Brother Spencer at Section Q, Lot 2, Greenlawn Memorial Park, Newport News, VA.
U.S Navy World War II Veteran, Governor (Colorado), SigEp Citation Recipient, and Colorado Beta Brother John A. Love resigned the Colorado governorship on this date after 10 years of service to become the nation's first director of the Office of Energy Policy for President Richard M. Nixon. Pennsylvania Eta Brother Lieutenant Colonel Daniel A. Augustyniak, U.S. Air Force (Retired), 63, died on this date after a long battle with brain cancer. Commissioned in the U.S. Air Force upon his graduation from Penn State, he served 18 years and six months before retiring. His next career involved five years of civil service work at the Air Force Logistics Command at Kelly Air Force Base. His most recent “career” involved ten years of dedicated work to the Men's Ministry at St. Luke's Catholic Church, and he had stated that this was his most fulfilling endeavor. Respect can be paid to Brother Augustyniak at Fort Sam Houston National Cemetery, San Antonio, TX. World War II Veteran New York Beta Brother Joseph I. Whittlesey, 87, died on this date in Cohoes, New York. During WWII, Brother Whittlesey served in France and Germany, where he earned several medals. After the war, he graduated from Cornell in 1949 with a degree in electrical engineering, and worked as an engineer for General Electric for 38 years before retiring in 1984. He was active in the community, having worked with the Animal Protection Foundation, Boy Scout Troop 36, the Annie Schaffer Senior Center and Vale Cemetery. In addition Joseph was a longtime Republican committeeman and 32nd Degree Mason. Respect can be paid to Brother Whittlesey at Glenside Cemetery in New York Mills, NY. On this date, two SigEp Patriots were lost to the ages. – Mayor of Dothan, Alabama Beta Past President Captain Alfred J. Saliba, U.S. Air Force Reserve passed away at home in the city of his birth, Dothan, Alabama. Alfred spent two years on active duty in the U.S. Air Force, and was stationed in Japan and Korea. Except for his military service, Alfred lived most of his life in Dothan, and was a proud graduate of the University of Alabama's School of Engineering. After working with his father at Dothan Roofing and Remodeling, he built a successful business bearing his name which included homebuilding, residential and commercial real estate, neighborhood development, and commercial construction. Brother Saliba wisely partnered and invested in other local businesses and real estate ventures, and in 1999 and 2011, he was inducted in the Business Halls of Fame for the University of Alabama and the Dothan Area Chamber of Commerce, respectively. Motivated by a desire to "give back" to the city he loved so much, from 1989 through 1997, Alfred served two terms as the city's mayor. Commitment to improving the city's infrastructure, recruiting new business, and providing opportunities for underserved families became the hallmarks of his tenure. Working with other visionaries, he helped establish a Family Services Center, which centralized education, childcare, and access to resource agencies. It became the prototype for 17 similar organizations throughout the Southeast and now bears his name. Memorial contributions to the Alfred Saliba Family Services Center would celebrate Alfred's lifelong compassion and generosity. Respect can be paid to Brother Saliba at Memory Hill Cemetery, Dothan. – Two-time Operation Enduring Freedom Veteran and Connecticut Alpha Brother Sergeant Kenneth Saavedra, Jr., U.S. Army & National Guard (Connecticut), 29, died in Waterbury, Connecticut. He was a member of the U.S. Army 1st Battalion, 102nd Infantry Regiment. After his active duty service, he continued to serve with the National Guard for almost 10 years. Kenneth was an electrician and worked for Sikorsky Aircraft, and was a member of the Teamsters Local 1150 – where he served as Vice Chair of the Teamsters Veterans Caucus Connecticut Chapter 1. At the request of the family, memorial contributions can be made to the Kenneth Saavedra Jr. Memorial Fund set up to benefit Veterans. Respect can be paid to Brother Saavedra at the Connecticut Veterans’ Cemetery, Rocky Hill, CT.
U.S. Navy World War II Veteran and Kansas Gamma Brother Ralph C. Ufford died on this date. Ralph was released from the Navy after three years of military service, and attended the University of Kansas where he graduated with the Class of 1949. After 39 years as a mechanical engineer, he retired from Bendix/Allied Signal in 1990. While at Allied, he was actively involved with the Allied Signal Management Club and the Bannister Association Investment Club. Ralph was a Boy Scout Leader, and he traveled with his family to 45 of the 50 States, camping in many of them. Once their sons were raised, he and Dolores traveled to 36 Foreign Countries, including pilgrimages to Israel and to Santiago de Compostello, Spain. Respect can be paid to Brother Ufford at Resurrection Cemetery, Lenexa, KS. * U.S. Army Veteran Oklahoma Alpha Brother Newlin "Newt" W. Kessler, age 83, passed away at home on 11 JUL as a result of cancer and related complications. He served in the Army as an officer and had training as a paratrooper. * U.S. Marine Corps Veteran of the South Pacific during World War II and Indiana Beta Brother Everett E. “Pic” Thomas passed away on 14 JUL at the age of 89. After his WWII service, Pic enrolled at Indiana University and brought his leadership to IN Beta. Our thoughts and prayers go out to the family, friends and chapter brothers of SigEp Patriots Kessler and Thomas. SPP pledges that you and your patriotic service will always be remembered. * Operation Enduring Freedom Veteran and Pennsylvania Xi Brother Kevin Michael has been selected for promotion to Lieutenant Colonel, U.S. Air Force. He will not get pinned until November, so we will all have to wait until then for the wetting down and free beers. Congratulations Brother! Please keep sending in your good news stories.